HIGH-POWERED LARGE EYEPIECE BINOCULARS This binoculars has 12x magnification, 25mm objective lens and wide field of view, 273ft/1000yds, letting you look farther and see wider. Coating with FMC Broadband coating and premium BAK4 prism, it ensure imaging verisimilar. FMC BROADBAND COATING TECHNOLOGY The lightweight cruise binoculars is cover with BAK4 prism texture. The objective lens use optical FMC multilayer broadband green film, and the eyepiece-optical is made of blue FMC coating. All design can can mostly reflect the light to keep a good image and make you have a amazing experience. 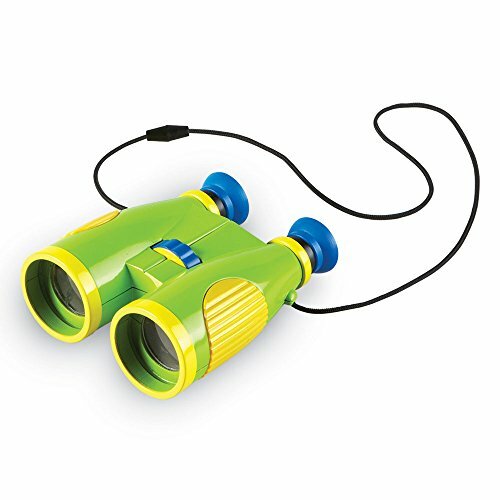 PORTABLE, COMPACT AND SMALL BINOCULARS DESIGN One hand can be mastered when you use the birding binoculars for opera,bird watching camping, traveling,wildlife watching,football games,cruise or other outside activity, the low light night vision goggles is more convenient for using and carrying. 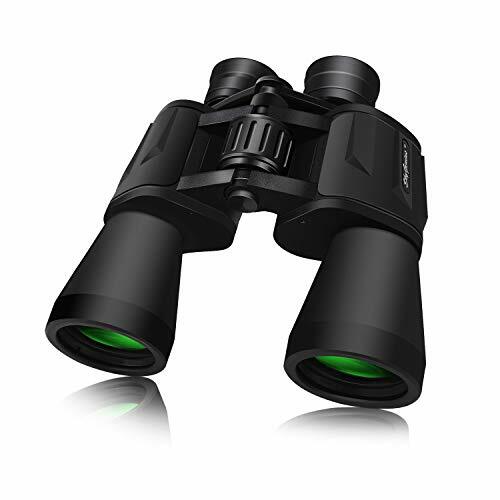 DURABLE AND WATERPROOF, COMFORTABLE TOUCH The binoculars are made of ABS plastic and it also come with a cruise binocular strap, you can use this item in different situations. And nonslip rubber armor is made for secure grip, shockproof, water resistant.The pocket size binoculars is not only suitable for men and women,but also suitable for kids.It is wonderful to be a gift on Father's Day and Children's Day. ADJUSTABLE EYE CUPS FIT EYEGLASS WEARERS OR NOT The binocs can be pull down the rubber eyepieces and more fit the glasses wearer, getting close to lens and see easily. The long eye relief combined with large eyepiece give you a comfortable viewing while wearing sunglasses or eye glasses. For those who do not wear glasses, will gain more focused slight and feel more easeful through rising eye cups. The compact binoculars has 15mm large eyepieces, can see more clear image than other binoculars. Large Field of View.Focusing in on your target for brilliant detail at 1000 yards out. 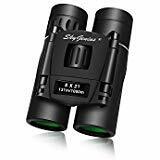 Bring the world closer and enjoy a detailed view with "SkyGenius" 10 x 50 powerful binocular, with a magnification 10x this binocular can bring subject 10 times closer, with the object lens diameter 50mm, it allows more light to come through, more clear details, even at low light condition, and multi layer-coated aspherical lenses elements for Light reflection and minimal distortion, better image brightness, contrast and quality. With field of view angle (367Ft / 1,000Yds) it has a large field of view, good for watching fast-moving things. Built with a rugged exterior, come with carrying case and strap make it easy for carrying. Advantage 20mm diameter eyepieces, more comfortable. 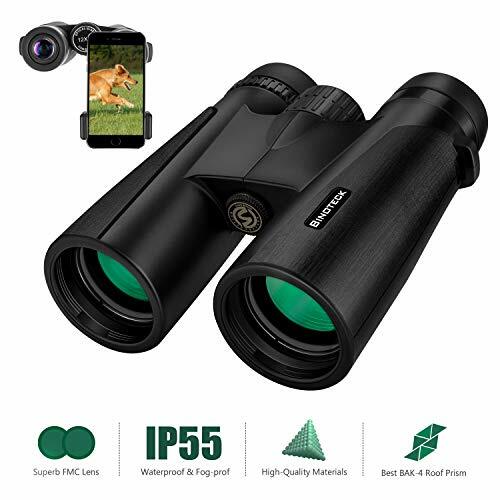 Compatible with tripod Fully adjustable to adults alike Clear vision Ideal magnification 10 x 50 Great distance range Amazing mate design, with grip areas for an easy hold Specification: Model: 10 x 50 POWER: 10x OBJ.LENS DIA. : 50mm TYPE OF PRISM: BK7 NUMBER OF LENS: 4 pieces 3 groups LENS COATING : MC FOCUS SYSTEM: Cent. FOCUSING LENS: Eye. EXIT PUPIL DIAMETER: 5 EXIT PUPIL DIST. : 12 FIELD OF VIEW: Angle: 5.5 , 367 ft/1,000Yds(122M/1,000M) MIN.FOCAL LENGTH: 5m/16.4ft RELATIVE BRIGHTNESS: 25 TWLIGHT INDEX: 17.9 RESOLUTION: 7.5" DIOPTER SYSTEM: Right eyepiece DIOPTER COMP. : 4 INTERPUPILLARY DIST. : 56mm~74mm EYECUPS SYSTEM: Twist-up UNIT DIAMENSION: 7.48 x 6.69 x 3.97 inch UNIT WEIGHT: 1.76 lb Application: Outdoors, bird watching, climbing, hiking, sightseeing, traveling, sport Game,concerts,star gazing, etc. In the Box: 1 * Binocular 1 * Pouch 1 * Strap 1 * Cleaning cloth 4 * lens caps TIPS:If the binoculars has any problem,please contact us,you would get a free replacement without return. Sleek and Solid ---Rubber finish for shock resistance and a firm, comfortable grip, durable. Easy to use ---Focus by adjusting the right eye cup and center wheel. (TIPS:If the binoculars has any problem,please contact us,you would get a free replacement . Blazing target acquisition. Peak Accuracy. And bright enough to hunt even the thickest woods. You ll only find this level of performance in our new Trophy Red Dot Sights. Compact size: 4.14x3. 62x2. 35inch, 0.38lb, foldable design, Mini pocket size, lightweight to carry with. Easy on focus: adjust by smooth center-focus knob And right eye lens, Easy on focus even for kids. Good quality: Bk7 Roof Prism & fmc Green multicoated optics offer more clear image. Application: Perfect for adults, kids, concerts,? theatre, opera, plays, shows, travel, hiking, camping, sport events, bird watching, etc.--Any short distance viewing. Professional Roof Prism 12X42 Bnoculars Professional 12x42 Binoculars, designed with 12X power magnification, 42mm large objective lens and 367ft/1000yds large field of view, can help you see a clear face from more than 650 feet away. HD Vison with Quality Optics Large 16.5 BAK-4 Prism and Fully Multi-coated objective lens and eyepiece guarantee the key elements of an HD vision, brighter view and crisp images. Perfect for birds watching, hunting, Concerts and Sports. Lightweight,Portable, Durable and Anti-slip Grip Lightweight Binoculars with only 1 pounds, perfect for traveling or hunting. Durable structure with odorless rubber armor for shock-resistance and Anti-slip grip. Perfect for outdoor activities such as climbing, hiking, driving, watching wildlife and scenery. Clear Weak Light Vision Adorrgon Binoculars can deliver clear vision in weak light condition, but not in not completely darkness. Perfect for Hunting or Concerts at night. Comes with Carrying Case*1, Eyepiece *1 Lens Protection Covers*1, Cleaning Cloth *1 and Neck Strap*1. 2-year Warranty + 24 hours Customer Service With strict Quality Control system and 2-year Warranty, we guaranty our customers with high quality binoculars and 24 hours Customer Service. If you ever encounter any issues with your binoculars, we will solve it in 24 hours or provide hassle-free exchange & refund service. Warranty: Adorrgon binoculars have been covered by 2 years Warranty. 1.Environmental protection rubber body, durable as well as good-looking and comfortable hand feeling. 2.The objective lens and eyepiece are equipped with dust cover to protect the lenses. 3.The tripod can be used with this monocular, making it more stable to observe birds or other things in outside. 4.The prism monocular is more convenient to use for connecting your cell phone with phone holder. Durable Material Design Our design is perfect for outdoor use as it is constructed of high durability engineering plastic that will protect it from any small drop! The rubber finish is great for shock resistance and will give you a firm and comfortable grip. S6, S6 Edge, S5 , Note, LG, HTV, Sony, and almost all other smartphones on the market. Comfortable Convenient : This compact monocular (5.7''x1.9''x1.5'') is convenient to use by single hand. Adjustable eye cups can be easily and rapidly twisted up and down for optimal viewing with or without glasses. Rubber armor with stripes increases the friction, keeps it from slipping out from your hand. The monocular scope also comes with hand strap and carry case, There also has a tripod connector at the bottom of monocular offers steady viewing when connect a monocular tripod. ADJUSTABLE EYE CUPS : Adjustable eye cups can be easily and rapidly twisted up and down for optimal viewing with or without glasses. Center focus knob allows you to focus easily with on hand. 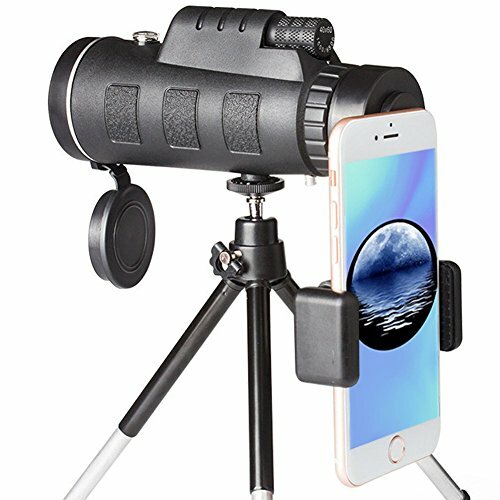 Perfect Phone Telescope with Strong Compatibility : Along with convenient phone adapter and tripod, this powerful hand held monocular is compatible with iphone X, 8/8plus, 7/7plus, 6/6plus, 5/ 5s, Samsung GALAXY S8/7/6, Edge , Note, Google Pixels, LG, HTC, Sony, and almost all other smart phones on the market. 2.The high-quality optics provide high quality image. 3.Suitable for travel, fishing, hiking, birds watching and outdoor activities. 4.Durable, high quality material is also suitable for harsh environments. 10.Objective lens: The diameter of the objective or front lens. 1. Do not look directly at the sun through a telescope, otherwise it will hurt your eyes. 2. Please put it in a dry place if it is long term unused. 3. Wipe the lens with dry and clean cloth. If there are some stubborn stains, please use the cloth dipped some alcohol. It would be easy to remove. IP44 Waterproof, Fog-proof and Anti-slip Design Prevents moisture, dust, and debris from getting inside the monocular - designed to inhibit internal fogging, fit for daily use and most outdoor environment. Moreover, the external textured rubber makes it comfortable for single hand focus, preventing from slipping out with excellent user experience. ADJUSTABLE EYE CUPS Adjustable eye cups can be easily and rapidly twisted up and down for optimal viewing with or without glasses. Center focus knob allows you to focus easily with on hand. Wide Application The Easy focusing hd monocular perfect for Hiking, Hunting, Climbing, Bird watching, Watching Wildlife and Scenery, Golf, Scope, Surveillance, concerts and travelling etc. Come with friendly customer service, 30-days hassle-free guarantee. NO ANY worries about your purchase for your family or friends. Gskyer 70mm Astronomical Refractor Telescope This 70x400mm refractor telescope can be a good observation of celestial bodies and terrestrial objects - best for viewing lunar and planetary. Featuring all coated glass optical components, the travel scope provides clean, crisp views. Developed with the traveler in mind, this travel scope features a compact and portable design perfect for the on-the-go sky gazer. Specification: Type: Refractor Objective Lens: 70mm(2.75") Focal Length: 400mm(f/5.7) Mount: Altazimuth Eyepiece: Low: 25mm(16X), High:10mm(40X) Barlow lens: 3X Max Magnification: 120X Finderscope: 5 24 with cross-hair lines Zenith Mirrors: 48 Erecting BAK4 prism Tripod: 65cm(31.5") height adjustable Aluminum tripod Warm Tips: If it shows a blurred picture, please adjust focus using focus wheel. When observing an outdoor target with an astronomical telescope indoors, do not close the window to avoid the deformation of the image caused by the reflection of the window glass. Use a telescope outdoors, please wait for the temperature of the product is the same as the outdoor temperature, the performance will be better. Avoid accidentally taking the telescope into a larger temperature difference environment because the moisture in the air will condense on the objective. NEVER aim your telescope at the sun or even close to the sun! High Quality Optics 400mm(f/5.7) focal length and 70mm aperture, fully coated optics glass lens with high transmission coatings creates stunning images and protect your eyes. Perfect telescope for astronomers to explore stars and moon. High Magnification Come with two replaceable eyepieces and one 3x Barlow lens. Eyepiece1: 25mm(16X), Eyepiece2: 10mm(40X). 3x Barlow lens trebles the magnifying power of each eyepiece. 5x24 finderscope with mounting bracket and cross-hair lines inside make locating objects easily. 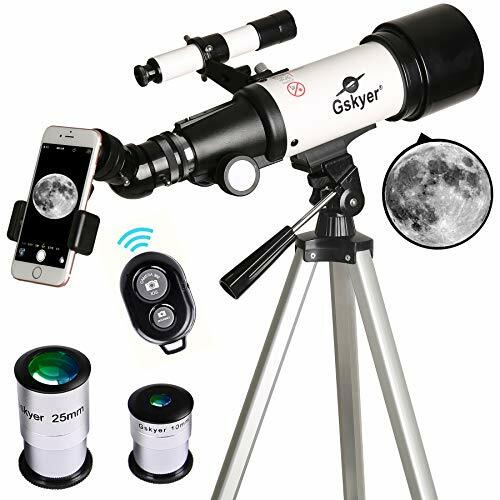 Bluetooth Control Free includes one smartphone adapter and one bluetooth camera remote to explore the nature of the world easily through the screen and take amazing celestial images. Adjustable Tripod and Carry Bag This telescope allows for many different viewing positions with a adjustable aluminum alloy tripod and a carry bag, the telescope and tripod can fit inside the bag for easy traveling and storage. Satisfaction Warranty 1-year warranty and lifetime maintenance. If you have any question about product and service, please feel free to contact us, we will do our best to help you. 3.The objective lens and eyepiece are equipped with dust cover to protect the lenses. 2.The tripod can be used with this monocular, making it more stable to observe birds or other things in outside. Our design is perfect for outdoor use as it is constructed of high durability engineering plastic that will protect it from any small drop! The rubber finish is great for shock resistance and will give you a firm and comfortable grip. Comes with 2017 newest quick alignment smartphone holder, Compatible with 8plus, 8,7plus, 7,6, 6s, 6plus, 5, 5s, 4s,SE, Samsung GALAXY S8, S6, S6 Edge, S5 , Note, LG, HTV, Sony, and almost all other smartphones on the market. 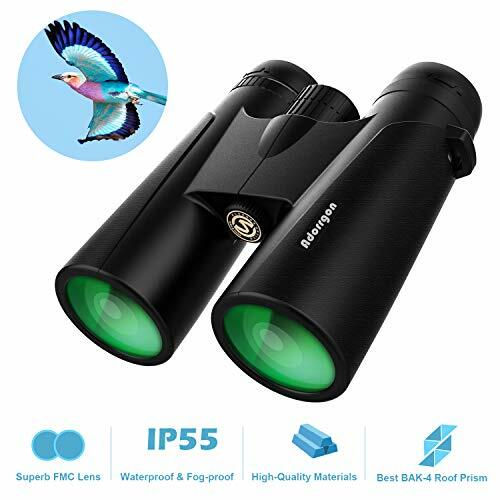 [40x60 High Power Magnification] - This high power 40x60 monocular telescope, This monocular can be use anywhere you want,perfect for Wildlife watching like birds and other bird watching, attending sporting events, city traveling, watching wildlife scenery, and much more! [Easy to use ] - This compact monocular is convenient to use by single hand, The rubber coating makes it extremely comfortable for long uses and keeps it from slipping out of your hands, Adjustable eye-cup twists up and down for comfortable viewing with or without. [Compatible Phones] - Comes with 2017 newest quick alignment smartphone holder, Compatible with 8plus, 8,7plus, 7,6, 6s, 6plus, 5, 5s, 4s,SE, Samsung GALAXY S8, S6, S6 Edge, S5 , Note, LG, HTV, Sony, and almost all other smartphones on the market. [Wide Application] - The HD waterproof fog-proof monocular is ideal for any weather or climate. Low-light-level night vision built-in design assists you see things in low light. And The rubber armor with stripes makes it comfortable for use and keeps it from slipping out from your hand and give you a good handfeeling. Looking for a compact telescope designed with beginners in mind? There s no better choice than the Celestron Travel Scope 70 refractor. Whether you want to view the wonders of deep space or wildlife on earth, this telescope brings it all to you in stunning detail. Fully Coated Optics This might sound technical, but it can make or break your viewing experience. Some telescopes in this price range don t even offer real glass optics! We use high quality glass, and then go the extra mile to apply special coatings to maximize light transmission. The difference is brighter, sharper views. Quick and easy setup Even on your first time out, you can set up the entire telescope and its accessories in 5 to 10 minutes no tools required. Finding objects to view and swapping out eyepieces is a breeze. Simple and intuitive We ve streamlined the Travel Scope s design to eliminate the confusing details of more complicated telescopes. You get just what you need, and none of the hassle. Lightweight and portable The entire kit (including the backpack) weighs just 3.3 pounds! Unparalleled quality You re looking for a budget friendly telescope, but that doesn t mean you want to sacrifice your view. Backed by more than 50 years of optical excellence, you can trust Celestron to deliver the richest, most detailed views. The Travel Scope can view the planets, moon, star clusters and brighter deep sky objects like the Orion Nebula and Andromeda Galaxy at night. During the day, it becomes a high-quality spotting scope perfect for sighting birds, animals, landscapes, and so much more. Full Height Tripod Adjustable from 22 to 52 inches in height, this aluminum tripod fits any observer. Navigate the sky with the tripod s pan handle. Unlike other telescopes in its class, pointing and moving the Travel Scope comes naturally just like using a photographic tripod. Two Eyepieces We ve included both a 10mm and a 20mm eyepiece for high powered and low powered viewing. Start out with the wide eyepiece to get the whole picture, then bump up the power to get in close. Bonus Accessories In addition to the two eyepieces, you also receive a 45 erect image diagonal and a finderscope. The diagonal goes between the telescope and the eyepiece to create a more comfortable viewing angle for easier observing. The finderscope is a tiny telescope that mounts on top of the main telescope tube. It helps you target objects in the sky, so you can find them quickly and easily. FREE Travel Backpack This high-quality, custom backpack allows you to take your telescope everywhere; all the components fit inside the backpack securely. FREE Starry Night Software Take your new hobby to the next level with a free download of our robust astronomy software for Mac and PC, Starry Night. This powerful interactive sky simulator will help you plan your observing session and learn more about the objects you want to view. Starry Night also includes multimedia learning tours on dozens of subjects, from your first night observing to the birth of the Milky Way. 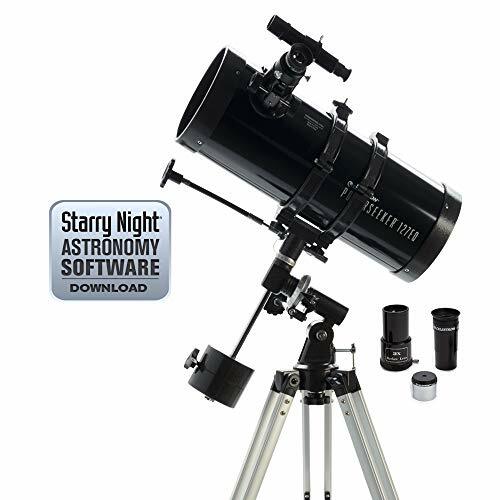 This valuable software is available exclusively with Celestron telescopes. FREE SkyPortal Astronomy App Download our free app for your iOS or Android device. This interactive sky map and planetarium allows you to hold your phone up to the sky to identify stars. Not sure what to observe? SkyPortal generates a list Tonight s Best objects based on your exact time and location. 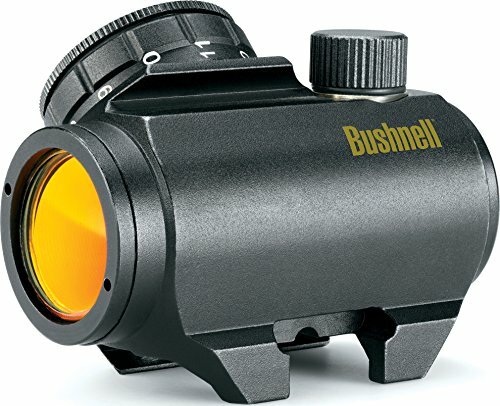 What makes Travel Scope 70 unique? With so many choices out there, it can be hard to know which telescope will best meet your needs. But the Travel Scope 70 stands head and shoulders above its competitors because it s backed by Celestron the #1 telescope brand in the world. We ve been creating telescopes for world class observatories and beginners just like you! since 1960. When you buy a Celestron telescope, we re with you every step of the way as you embark on your journey through the cosmos. That s a promise you won t find from the other guys. We offer a 2-year warranty, so you can buy with confidence. If you ever have a question about your new telescope, or astronomy in general, we ve got your back. Just reach out to our Technical Support team, based at our headquarters in Southern California. Our support reps are amateur astronomers themselves, so they can give firsthand tips and tricks if you ever need a little extra help. Tom Johnson founded Celestron in 1960 after building a telescope to share the night sky with his sons. Since then, Celestron has established itself as the world s #1 telescope brand. Today, Celestron telescopes are used in world-class research observatories, by scientists scanning the skies for space junk, and even aboard the International Space Station. The Celestron 21035 Travel Scope 70 is a compact 70mm refractor telescope optimized for portability and convenience. The telescope, the tripod, and all the accessories fit conveniently into a padded backpack style soft carrying case. The complete accessory package includes a 45 degree correct image prism, a 20mm eyepiece for 20X magnification, and a 10mm eyepiece for 40X. The fully illustrated instruction manual is supplemented by a copy of "The Sky X" astronomy software that turns your PC into a virtual planetarium. With a focal length of 400mm and a focal ratio of f/5.7, the Travel Scope 70 compares surprisingly well with popular f/5 "Short Tube 80" refractors but at a much lower cost. The Travel Scope 70 uses a number of plastic components to keep the cost and weight down, including a plastic focuser and plastic lens shade, but the all glass lenses deliver beautiful views of backyard birds during the daytime and lovely views of the Moon and stars at night. The Travel Scope 70 offers daytime views that compare with more expensive spotting scopes. The 20mm eyepiece gives 20X magnification and a 2.5 degree field of view, with plenty of crisp detail when I m looking at backyard birds. The travel Scope 70 is also quick and easy to set up at night. The deep orange glow of the recent Lunar Eclipse was simply gorgeous, and I was even able to take some pictures using the Travel Scope 70 and a PowerShot camera. When I look at Jupiter using the 10mm eyepiece (40X magnification) I can easily see four moons near the planet. And rich field views of the Milky Way are often at their best in a small scope with a wide field of view. Top Optical Quality, Unmatched in its Class One look through the Travel Scope's high-quality optics and you'll see the Celestron difference. Unlike other telescopes in this price range, Travel Scope features glass optics that are fully coated with high transmission coatings for the brightest possible views. Powerful Eyepieces for Up-Close Viewing You'll receive two quality eyepieces (20mm and 10mm) for both low-power and high-power viewing. BONUS Backpack and Full Height Tripod Included Camping trip, anyone? Whether you're stargazing from the wilderness or your backyard, you're ready to grab and go with Travel Scope's handy backpack. Stash the telescope, the full-height tripod, and all the included bonus accessories in one lightweight package. Ideal for Beginners This simple, all-in-one kit is a great way for anyone to get started with astronomy. You'll be sharing gorgeous views with friends and family in minutes! Starry Night Astronomy Software Compatible with PC or Mac, Starry Night is a powerful interactive sky simulator that includes information on thousands of celestial objects and dozens of multimedia astronomy learning tours. Unbeatable Warranty and Customer Support Buy with confidence from the world's #1 telescope brand, based in California since 1960. You'll also receive a 2-year warranty and unlimited access to technical support from our team of US-based experts. Celestron PowerSeeker telescopes are a great way to open up the wonders of the Universe to the aspiring astronomer. The PowerSeeker series is designed to give the first-time telescope user the perfect combination of quality, value, features and power. 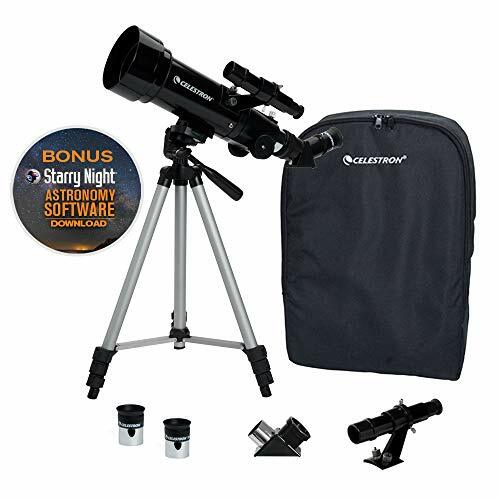 Amateur astronomy is a great family hobby that can be enjoyed year round, and Celestron s PowerSeekers are the ideal choice for an affordable and high quality telescope that will provide many hours of enjoyment for the entire family. PowerSeekers are quick and easy to set up even for the novice. No tools are required for assembly! Their sturdy equatorial mounts are perfect for tracking objects in the night sky, and the collapsible alt-azimuth mounts are perfectly suited for terrestrial (land) viewing as well as astronomical use. All of Celestron s PowerSeekers include a full range of eyepieces plus a 3x Barlow lens that provides an increase in viewing power hundreds of times greater than that of the unaided eye! Locate and identify thousands of celestial objects on your laptop or PC with TheSky Level 1 software included FREE with every PowerSeeker model. Observe The World Around You With Full HD Vision! Are you looking for the most perfect binoculars for scenery bird wildlife watching, hiking, hunting, concerts or sports observation and more? Or are you lookingfor binoculars you can use in any weather condition that will deliver bright and crisp images with all the key elements of HD vision? Introducing The 12 x 42 Binoculars For Adults By Binoteck! Our compact binoculars are lightweight, ergonomically structured and very easy to use in 3 simple steps with the center and right eye focus knobs. 1: Close your right eye -focus with the left and rotate the central knob until the image is clear. 2: Close your left eye rotate the right eyepiece knob until the image is sharp and clear. 3: Bend the binoculars until you can get a single circular view. Why These Are The Best Binoculars You Could Ever Use: Fully multi-layered FMC green film coatings Premium large BAK4 Prism Perfect for twilight and weak light conditions Durable shockproof waterproof for all weather conditions Smart phone adapter compatible with most smartphones on the market Specifications: Objective lens diameter: 42mm Eyepiece diameter: 18mm Near focal distance:5m Exit pupil distance: 10mm Objective lens coating: FMC broadband Focus system: Center & Right eye Angle of field: 5.5 Viewof field: 114m/1000m (374ft/1000yds) Weight of binoculars:1.09lb/498g Waterproof grade: IP55 Life waterproof Package: 1 x Binoculars 1 x Cleaning Cloth 1 x Carrying Bag (with strap) 1 x User Manual 1 x Smartphone Adapter 1 x Neck strap 1 x Eyecup 1 x Objective Lens Covers Coming With A Lifetime Replacement Warranty, Click Add To Cart Now Risk Free! Clear Vision with high power: Our 12 x 42 high powered and HD view binoculars provide 12x power magnification with 42mm Big objective lens and a 374ft/ 1000yds field of view. 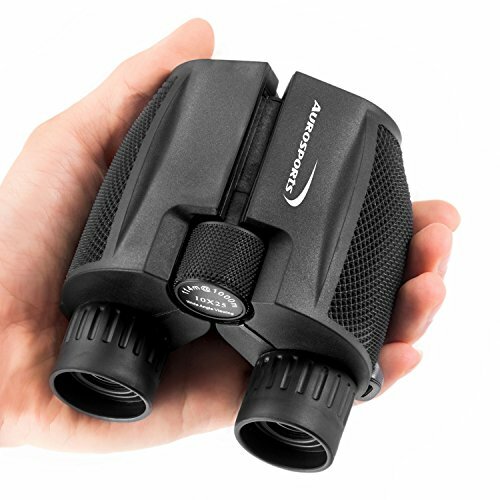 Designed for optimal outdoor use, these binoculars are perfect for hunting, scenery - bird and wildlife watching, hiking, exploring, as well as concerts, large stage plays and sports. DURABLE - USE IN ANY WEATHER CONDITIONS: You can use our compact binoculars in any weather conditions with peace of mind as they are fog proof and IP55 life water resistant. The durable body cover of environmentally friendly odorless leather and rubber texture anti-slip grip feature, ensure they will remain firmly in your hands without the risk of slipping and accidentally falling. 100% RISK FREE PURCHASE: Binoteck binoculars go through strict quality checks to ensure you will receive the most amazing optical device possible. We re so sure of the high quality we offer that we back our binoculars with our unparalleled Lifetime Replacement Warranty. If you ever encounter any issues with your binoculars, simply contact us for a free replacement or refund. Click Add To Cart Now with peace of mind! Automotive and Industrial inspection and repairing. Why should you choose this Slim 0,315" diameter Borescope Inspection Camera? The endoscope is compatible with all Android, iPhone, iOs, Windows devices, tablets and smartphones. semi-rigid ultra-flexible 11.5 Ft cable and IP67 Waterproof technology. 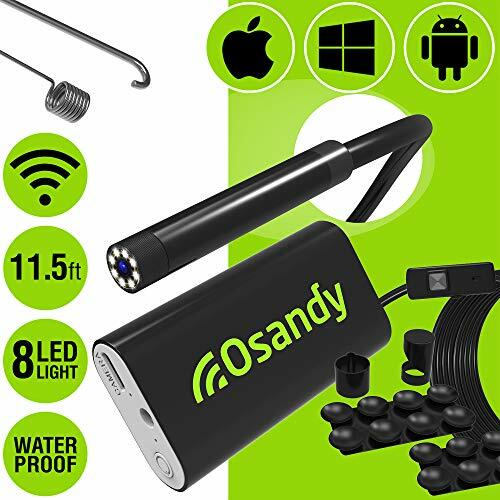 NEW DESIGN, ULTIMATE VERSION: This WiFi Endoscope Camera has long 11.5 Ft ultra-flexible semi-rigid cable, IP67 Waterproof standard, 8 LED Daylight Technology, HD Vision, Extended Battery Life (2 Hours of work). The Endoscope Cam is a reliable device to inspect the narrowest and the darkest spaces. Reach sewers, pipelines, wall crevices, cable chutes with ease! MAXIMUM COMPATIBILITY: The Endoscopic Camera syncs with any iOS, Android, Windows devices. Enjoy the way this Borescope feeds the data directly to your iPhone, Samsung or other Android smartphones, Mac, iPad and tablets. USER-FRIENDLY TECHNOLOGY: No need to be tech savvy to use this wireless inspection camera! Just install HD WiFi APP, pair the endoscope via WiFi with your device and get HD real-time view instantly! IMPROVED IMAGE CLARITY: This 0.315 (8 mm) diameter Endoscope Camera has 2.0 Megapixels HD View, premium chip at 30fps and 8 LED Daylight technology. All those improve significantly image brightness and clarity even in dark or low-light environments. With the WiFi Endoscope Camera you can record high quality AVI video and snapshot JPEG images in 640x480 or 1280x720 resolution by your choice. HELPFUL EXTRA ACCESSORIES: Now you can do inspection perfectly with help of additional accessories: a magnet, a hook, a side-view mirror and a 2 suction cups sticker. The hook will pick rings, keys and other small items; the magnet will attach metal objects; the side mirror will extend viewing angle over the inspection area. All the accessories are included in the set! 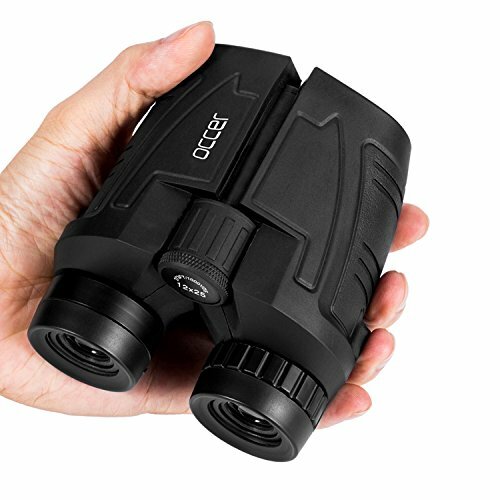 AUCEE 12x50 monocular for adults equipped with BAK-4 prism and FMC(fully multi-coated) green coated lens. The BAK-4 prism(higher light transmittance than BAK-7 prism) allows more light transmission and gains more brightness. The 50mm FMC green coated lens(let more 45% light in than monocular with 42mm lens). All these elements of this monocular, provide high-definition images and accurate color rendition, is a good addition for bird watching, hunting, hiking, camping, travelling, wildlife, scenery, etc. 1. Please not use this monocular to look the sun straightly, otherwise it will hurt your eyes. 3. Please wipe the lens with dry and clean cloth. If there are some stubborn stains, please use the cloth dipped some alcohol. It would be easy to remove. 4. The width of phone adapter is 54-90mm, it suit almost smartphones in the market. 5. The monocular will help you see things in low light, but it can't help you see things in total darkness. 6. When the phone connect with monocular, the picture is a circle view and around is black, please zoom the picture and you'll get a full size picture. 7. AUCEE is the only authorized brand and exclusive distributor. You must insure that AUCEE is your selected seller that you could able to have the full warranty. 12x50 Monocular AUCEE 12x50 high powered monoculars for adults - a full 12x magnification and 50mm object lens diameter monocular, provides a clearly and bright image. 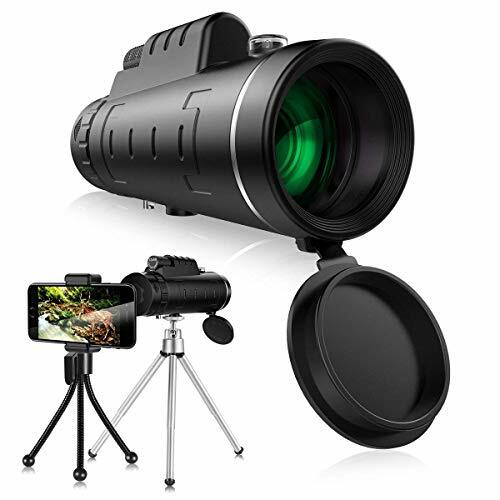 This monocular telescope has large field of view (211ft 1,000Yds), just feel free to enjoy bird watching, hunting, hiking, camping, travelling, wildlife, scenery, etc. BAK4 Monocular The hd monocular telescope equipped with BAK-4 prism and fully multi-coated lens, guarantee superior light transmission and brightness and the light transmittance reaches up to 99.5%. 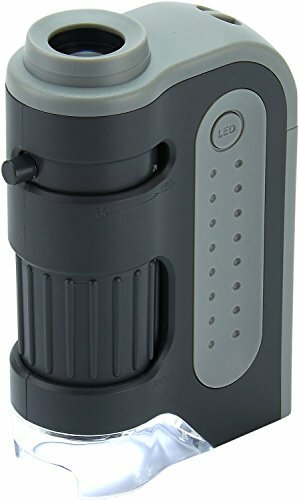 The monocular has low-light-level night vision, it could help you see things in low light(can't see anything in complete darkness), provide you a amazing viewing experience. Waterproof Monocular This HD waterproof, fog-proof, dust-proof, shockproof monocular, built in lens dust cover and o-ring sealed optics could prevent lens from dust/moisture/debris, ensures the living waterproof function, fit for the most weather and environment(note: it can not be used in a heavy rain for a long time or soaked in the water). Perfect Accessories This portable monocular is easy to hold by one hand. You also could connect your phone with the tripod and smartphone adapter(5.4cm-9cm, compatible with most smartphone in market, like iphone/Samsung, etc). It's very convenient when you watch something for a long time. The compact monocular also come with cleaning cloth, cloth bag, hand strap, user manual.